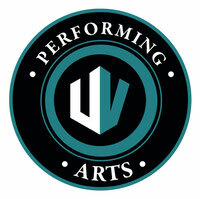 UV Performing Arts is a place where students of all ages and levels of ability participate in an array of performing arts such as dance, music and drama class with professional instruction. Sign-up form for our FREE TRIAL class! The Drama & Musical Theater Weekend Workshop for ALL AGES is designed for all levels of dancers and actors, ages 6 and up, who want to further explore all elements of musical theater performance. Do I want to dance just for fun or to perform? Am I trying to improve my flexibility? Am I trying to improve my coordination? Do I want fast movement or slow movement? Am I ready to join a group lesson or do I prefer a private lesson? Seiei Dojo offers the best martial art instruction and excellent facility to learn judo and other programs including Muay Thai Kickboxing and Brazilian JuJitsu.